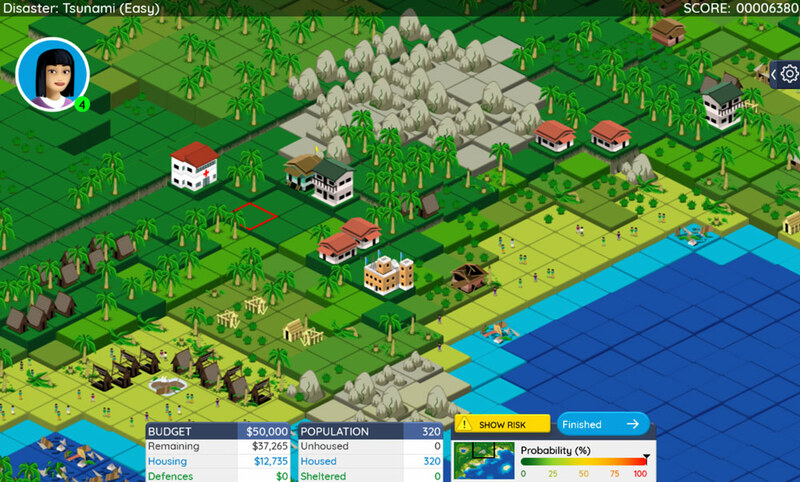 Learn of the risks posed by natural hazards and manage your resources. 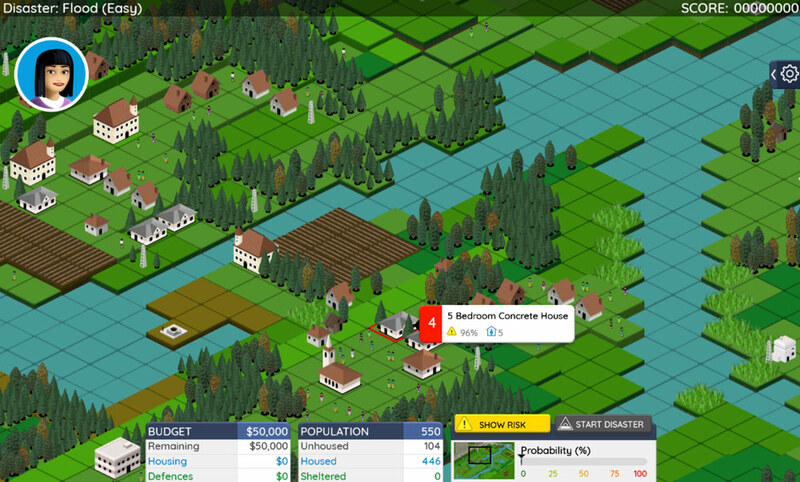 Play multiple realistic disaster scenarios including tsunami, wildfire and earthquakes. As a contribution to the building of training to support the communication of tsunami risk to the public, the IOC of UNESCO has developed the TsunamiTeacher Information and Resource Toolkit. 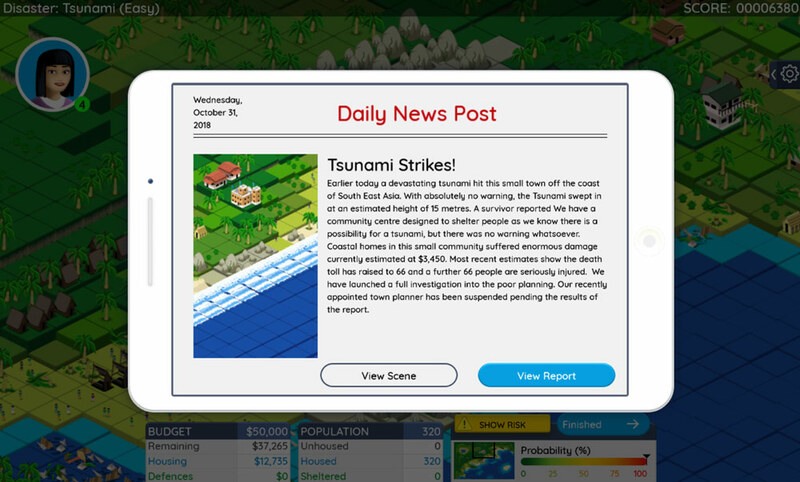 The Toolkit brings together a wealth of new and existing information on tsunamis into a single, reliable, and verified global resource that is widely accessible to people, groups and governments around the world. There is a wealth of information online where you can learn more about natural hazards and how to prevent them from turning into disasters. We have produced a series of five fact sheets that you can download, containing key facts and lots of links to further information. Ana Trehoan, expert on education. Charles Kelly, Disaster Management Expert for the flood and hurricane scenario. With thanks to the following people for the use of their photographs: Kevin Conners, Michelle Kwajafa, Carlos and Leah. And last but not least Playerthree, in particular Pete Everett and David Streek. UNISDR stands for the UN Office for Disaster Risk Reduction and brings many organizations, governments, universities, institutions and members of the civil society together for a common objective: implement the Sendai Framework for Disaster Risk Reduction, the global plan to reduce disaster losses by 2030. Why do we differentiate disasters from natural hazards? Natural hazards, such as floods, earthquakes and volcanoes, do not need to become disasters. For example, if volcanoes erupt in a location where nobody lives, the volcano eruption is just a natural hazard, but not a disaster. But if people living around the volcanoes are affected and even killed by the volcano eruption, in this case, the volcano eruption becomes a disaster. UNISDR proposes ways and measures to reduce the impact of disasters triggered by natural hazards. Many measures can be taken to reduce the impact of natural hazards. 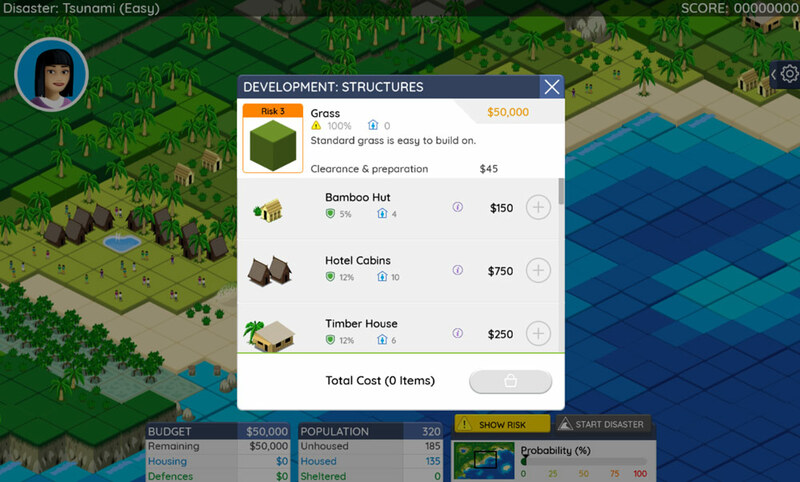 One is upgrading building constructions. On many occasions, earthquakes do not kill people, but houses do when they collapse. If we build earthquake resilient houses in areas prone to earthquakes, people will have a much better chance of survival when disasters strike. Legislation is another measure. If the construction of hotels is prohibited up to 200 metres from the sea, tourists will be safer if there is a flood or a hurricane. Education is also a strategic measure to reduce the negative impact of natural hazards. People who understand natural hazards and risk reduction are likely to survive during disasters. 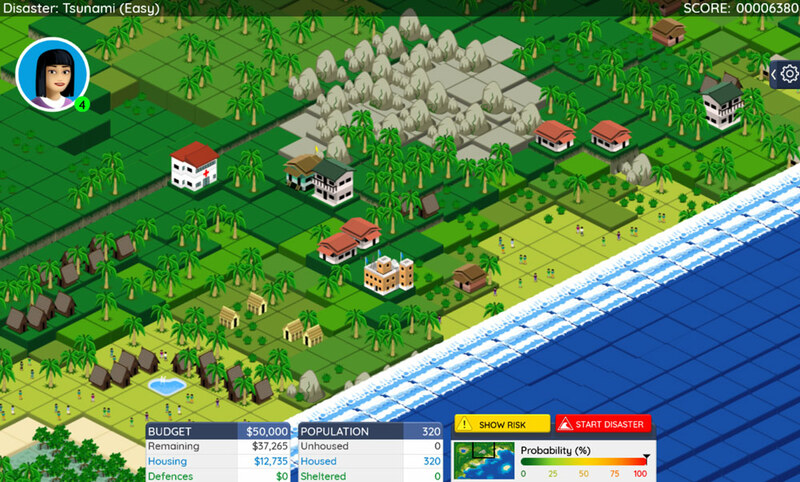 For example, many people from the Semilieu Island survived during the 2004 tsunami in the Indian Ocean because they knew that when an earthquake strikes their island there is a high risk of tsunami and they have to run to higher ground. These are just a few examples that UNISDR promote to convince governments to make the world safer. How many people work for UNISDR? UNISDR has a secretariat based in Geneva and a couple of regional offices in Africa, the Americas, Asia & the Pacific, Europe and a liaison office in New York. More than 100 people work for UNISDR. What Is the Sendai Framework for Disaster Risk Reduction? The Sendai Framework for Disaster Risk Reduction 2015-2030 is a fifteen year, voluntary, non-binding agreement. It was adopted at the Third World Conference on Disaster Risk Reduction on March 18, 2015 in Japan and endorsed by the UN General Assembly on June 3, 2015. Its goals are to prevent new risks, reduce existing risks and strengthen resilience to natural and man-made hazards in order to achieve a substantial reduction of disaster losses. What Is The Sendai Framework Monitor? In March 2018, UNISDR launched the Sendai Framework Monitor which allows countries to report on 38 indicators that measure their progress in achieving the seven global targets of the Sendai Framework and the SDGs on poverty (SDG 1), sustainable cities (SDG 11) and climate action (SDG 13). 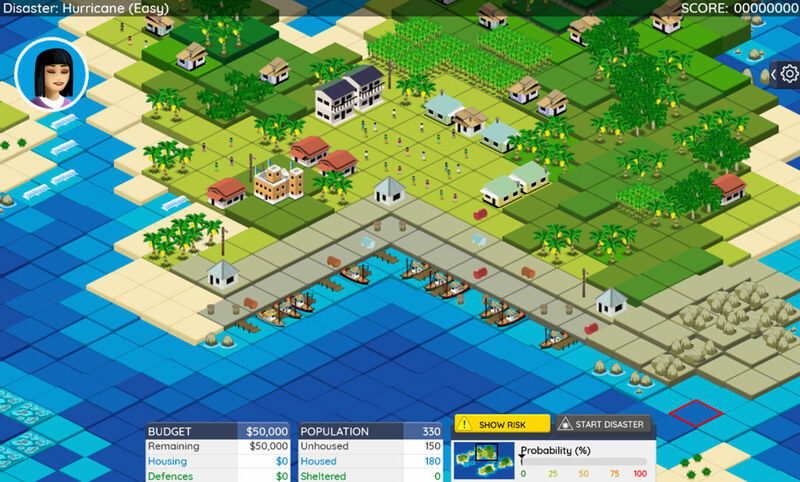 Why is UNISDR making an online game on disaster risk reduction? Education is key for reducing children’s risks to disasters. Children are one of the most vulnerable groups when disasters occur. If we teach them from an early age about the risks posed by natural hazards, children will have a better chance to save their lives during disasters. 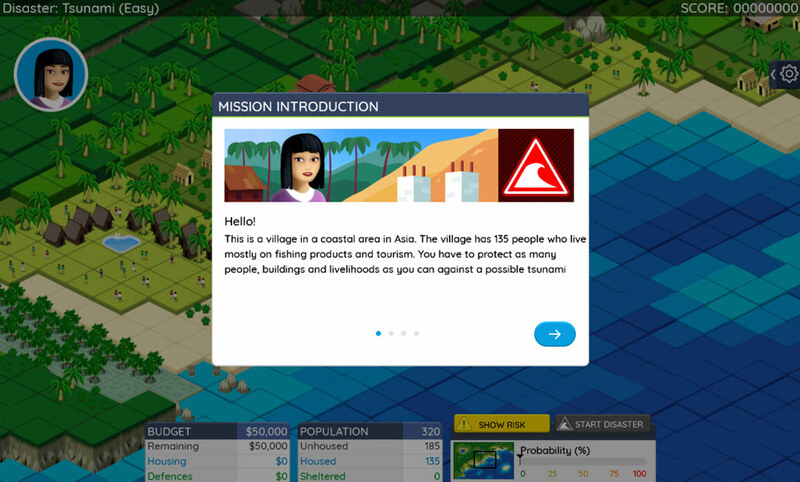 This online game aims at teaching children how to build safer villages and cities against disasters. Children will learn through playing how the location and the construction materials of houses can make a difference when disasters strike and how early warning systems, evacuation plans and education can save lives. Children are the future architects, mayors, doctors, and parents of the world of tomorrow. If they know what to do to reduce the impact of disasters, they will create a safer world. Where can I find more information about UNISDR? Where can I find more information about disasters? You can read the fact sheets included in the game and consult the teacher guides in the Teacher guide section of the website. Who can play the Stop Disasters game? 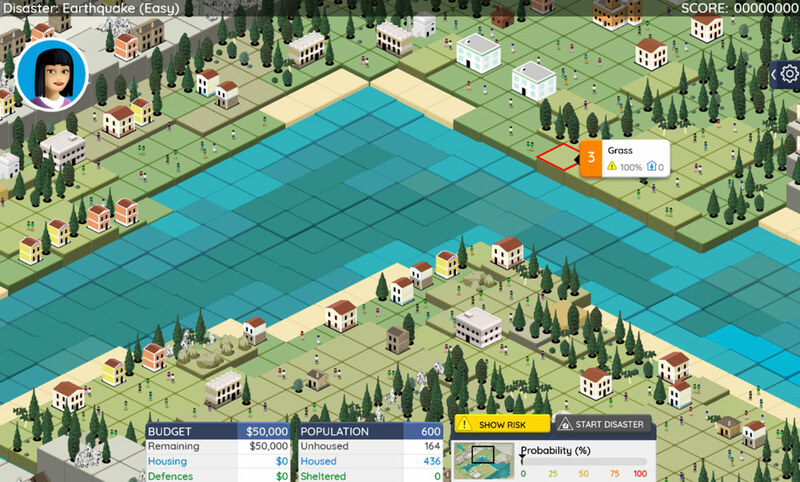 Anyone with internet access can download and play the Stop Disasters game in a browser. The game does not need to be installed as an ‘exe’ file on your hard drive, and no browser plugins need to be installed. No, any desktop computer, tablet or mobile phone built within the last few years will be sufficient. 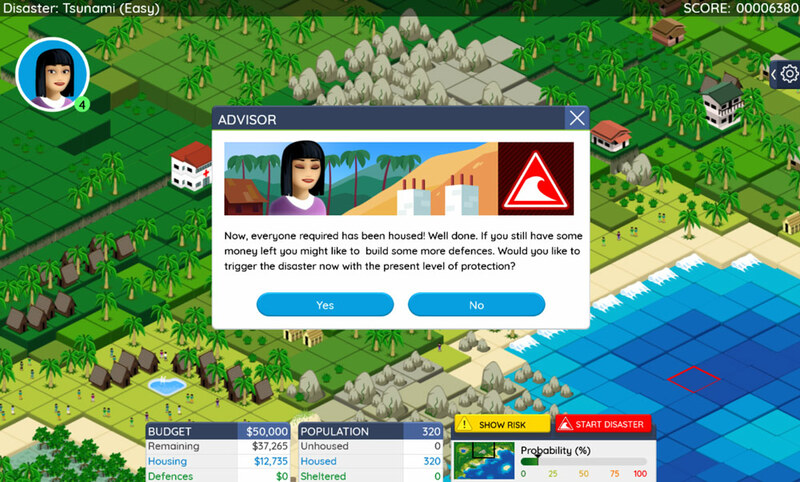 Each scenario takes between 10 and 20 minutes to play, depending on the disaster you are trying to prevent and your skill level. There are five scenarios to play, and each can be played on easy, medium or hard difficulty levels. What age do you need to be to play? 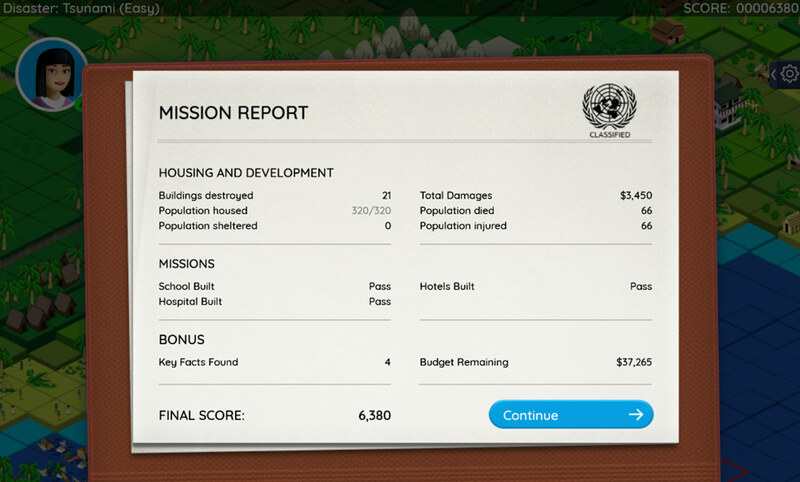 The core audience is 9-16 year old children, but anyone can play and enjoy the game, and everyone will learn more about preventing disasters. 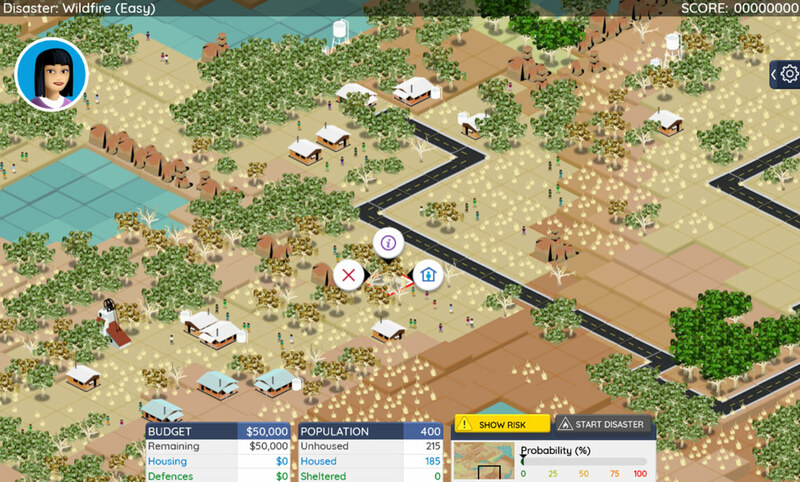 This is a single player game, but groups of children in a classroom environment can play collaboratively and discuss the best course of action to take. Additional learning material for students and teachers is available in the ‘Information’ section of this web site. You can play as many times as you like! Just like natural hazards in real life, some elements are random. There is no ‘perfect solution’ to each scenario and no ‘perfect score’, so every time you play things will be slightly different. Can I play at school? If your school allows access to this web site, then yes. We have created additional resources for teachers and encourage schools to play this game as a classroom exercise. Why not suggest it to your teacher at school?